Social robots are increasingly being studied as companions supporting and helping humans in different applications (e.g., home, healthcare, work spaces, public spaces, education, etc.). The study of robots acting as educational agents is an emerging field of social robotics. The last few years have seen the emergence, worldwide, of collaborative projects studying the role of robots in educational applications, for example, robots acting as tutors to support teachers and students, tools for therapy of children with autism, instructors in the factory, and learning companions in healthcare applications. This workshop will bring together for the first time researchers interested in the design, development and evaluation of robots acting as educational agents. We anticipate the main outcome of the workshop to be the identification and investigation of open issues for educational robots, ranging from usability and personalization to long-term autonomy in real world environments. 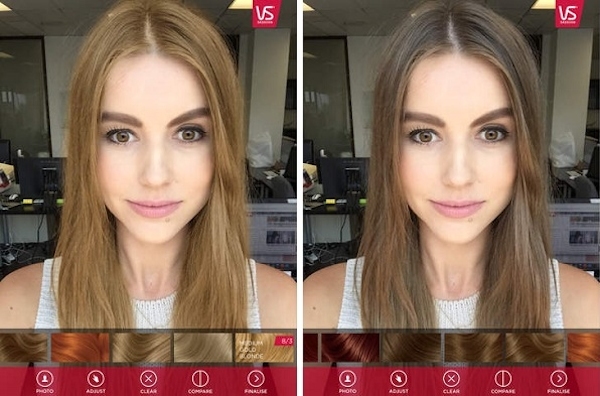 A new app will let consumers try on Vidal Sassoon Hair Colors before getting them in real life. Through a virtual try before buy, the VS Shades app [Android; IOS] illustrates how augmented reality can help shoppers in the cosmetics section. The Department of Computer Science at the University of Bath wishes to appoint an academic with an excellent track record, a strongly interdisciplinary outlook, and the clearly demonstrated potential to be an international leader in the field of Human-Computer Interaction (HCI). The star-studded pre-show may never be the same. For some music fans, seeing a red carpet parade of celebrities and artists is almost as important as the awards show their favorites are there to attend. MTV’s long been offering dedicated viewers a pre-show lead-in to its Video Music Awards (VMAs), replete with up-close coverage of fashion hits and misses designed to be memorable (hello, Dennis Rodman in a sparkly crop top in 1995, and Gaga decked out in sirloin strips in 2010). This workshop aims to shift perspectives on games for older adults beyond benefits they provide, exploring challenges and opportunities in the design and development of games for older adults that primarily focus on entertainment to provide empowering and engaging experiences. What picture of older adults is currently propagated in games research, what are the challenges, and what are the opportunities? How can we create realistic profiles of older adult players? What can we learn from previous game design projects addressing older adults, what were the strengths and weaknesses in their design? How can we create games that encourage older players to take ownership of their gaming experience, empowering them to actively shape the way they interact with games rather than taking the role of passive consumers? How can we balance design efforts that aim to deliver benefits of games with a purpose beyond entertainment to older adults, and consolidate this approach with the idea of playing games purely for entertainment? And finally, how should the field prepare itself for the upcoming generations of older adults, which include many individuals who had access to games in their formative years? A Portland startup called Wild is combining virtual reality with elements of the physical world. In 1962, cinematographer Morton Heilig patented his Sensorama Stimulator—a bulky virtual-reality machine that showed 3-D films on a personal display while pumping in smells, sounds, and the sensation of wind. Heilig was never able to popularize the sensory-immersive Sensorama; it remains a curious footnote in the history of virtual reality. But a small startup based in a Portland, Oregon, garage could have better luck. Since March, Wild has been building an experience that combines virtual reality with elements of real life. Visitors wear a virtual-reality headset and headphones, so they’re surrounded by 3-D virtual images and accompanying sound effects and music. 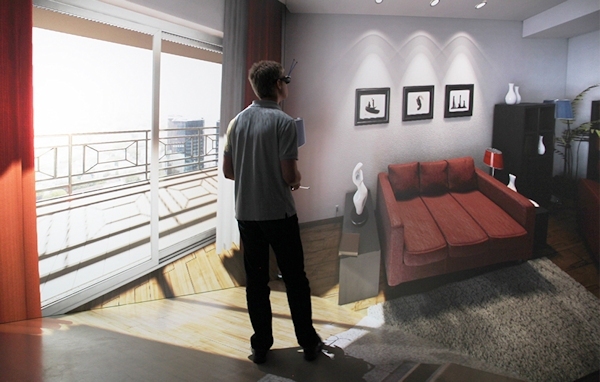 But the 3-D scenes include instructions to do things like reach out to turn a doorknob and open a door, and when you do, you find it’s not just a digital rendering of a door but a real door and doorknob that you must open and walk through to navigate from one virtual room to another. 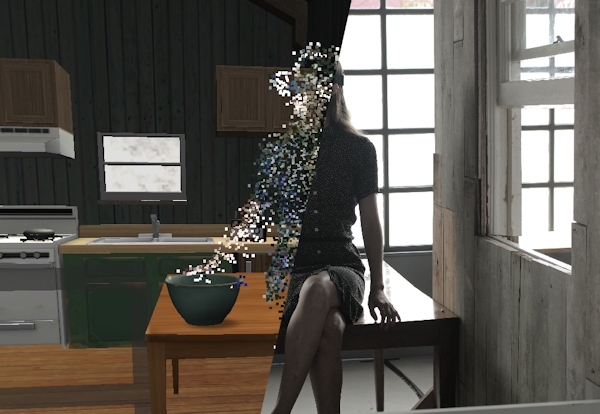 “We like the idea of combining the physical space with virtual reality because it grounds the user in the experience more than just floating through the ether,” explains Wild founder Gabe Paez. Submission Deadline: October 2, 2015. The 11th Annual ACM/IEEE HRI Conference theme is “Natural Interaction.” The conference seeks contributions from a broad set of perspectives, including technical, design, methodological, behavioral, and theoretical, that advance fundamental and applied knowledge and methods in human-robot interaction. Full papers and Tutorial/Workshop abstracts will be archived in the ACM Digital Library and IEEE Xplore Digital Library. Full details of the submission types is provided on http://humanrobotinteraction.org/2016/authors/. Full papers are eight camera-ready pages, including figures. Accepted full papers will be published in the conference proceedings and be presented in an oral session. To facilitate quality interdisciplinary reviewing, authors will be required to select a theme for their full paper submission. These themes represent different types of contributions to human-robot interaction and thus involve different criteria for evaluating what constitutes a significant contribution to the field. For a full description of themes and examples of prior contributions see http://humanrobotinteraction.org/2016/authors/full-papers/themes-for-submissions/. Studies of Human-Robot Interaction theme includes naturalistic and experimental studies of how humans and robots interact in real-world settings or in experimental scenarios to establish new understanding, principles, and design recommendations for human-robot interaction. Technical Advances in Human-Robot Interaction include contributions that describe new robot systems, algorithms, and computational methods that enable robots to better understand, interact with, and collaborate with their users. Human-Robot Interaction Design involves research related to robot design from a broad spectrum of design practices, including form, interaction, and service design. Theory and Methods in Human-Robot Interaction theme includes contributions that provide novel ways of understanding and studying human interactions, needs, and environments that will inform the development of robot technologies, systems, and applications. The Game Studies, Culture, Play, and Practice Area welcomes papers, panels, and other proposals on games (digital and otherwise) and their study and development. The Area is also offering a three hour workshop titled “Making the Makerspace: A Look Into the Creation of the iSpace” on the first day of the conference. If you’re going to fill your water with robot sensors, why not make them fit in? The NUSwan might sound like a bio-engineered creature from Blade Runner, but it has more in common with the Roomba that sweeps your home. The robot swans have been deployed by the National University of Singapore to swim around water reservoirs and keep an eye on water quality. Right now, monitoring Singapore’s reservoirs is done by humans in boats, which is impractical, slow and not very scaleable. The NUSwan can swim tirelessly, continually testing pH, dissolved oxygen, turbidity (cloudiness) and chlorophyll. 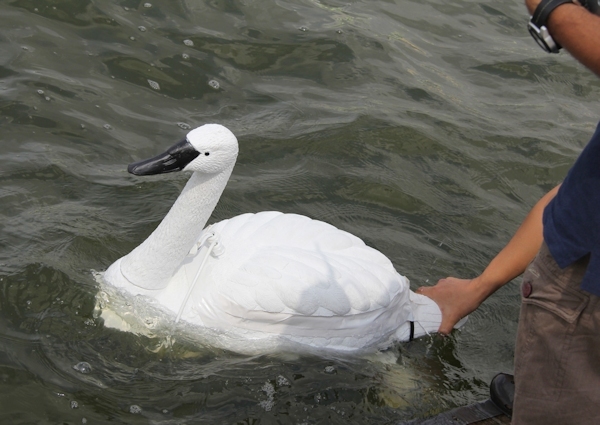 The results are transmitted wirelessly back to researchers, the GPS-equipped swans sweep the lake without duplicating any already-tested spots, and they automatically return to base for recharging when batteries run low.